Unwind in the comfort of a charming country house nestled on 15 acres of beautiful County Kerry terrain. 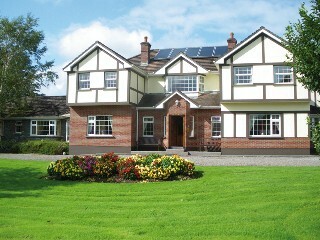 Redwood is superbly located between the acclaimed Ring of Kerry and picturesque Dingle Peninsula. It’s also only 2 miles from the bustling town of Killarney and its lively pubs and restaurants. Awarded 4-star status, with spacious bedrooms, queen-size beds and just a 12-minute drive from Kerry Airport, guests can enjoy a truly relaxing stay and the warmest of welcomes at Redwood.